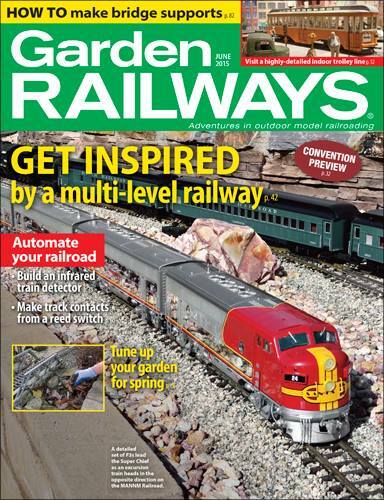 We are so excited to have our garden railroad in the June 2015 issue of GARDEN RAILWAYS - it has been a dream come true for us to be featured in this magazine! Additional pictures and history of the layout can be found here. Also, numerous pages dedicated to the custom equipment and structures seen on the layout can be found here. I have been fascinated with trains from as early as I can remember. This website is dedicated to my modelling efforts in both G scale and HO scale throughout the years. Hopefully the layouts and models shown here will help to inspire projects of your own! 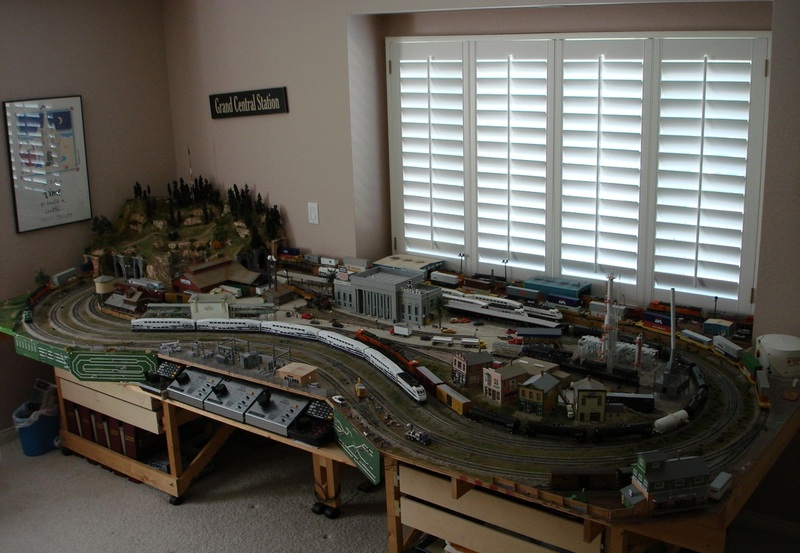 Before work began on the G scale railroad, Dad and I built this 5' x 12' HO scale layout in 1999. This project taught us a lot about model building, wiring, and the importance of perfect track work which we carried over to the G scale railroad. 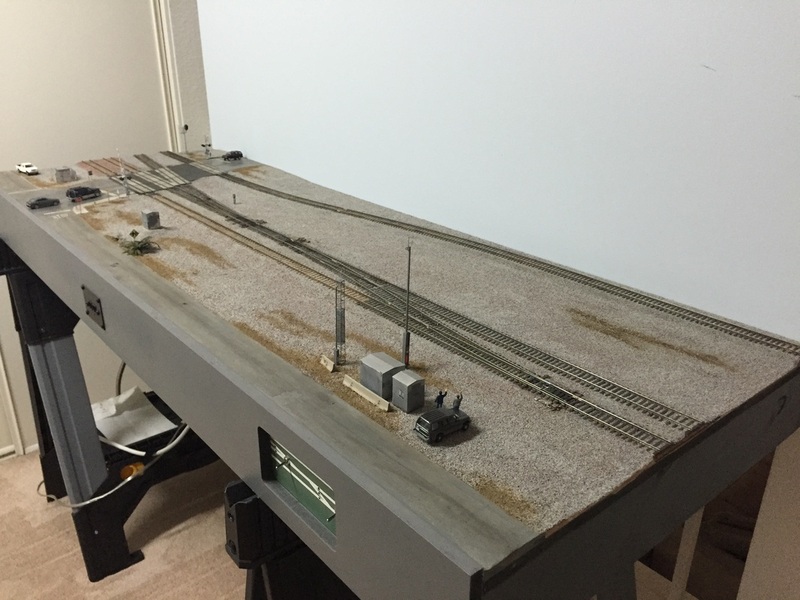 15 years after the first HO layout was built, this 2' x 5' module is an exact replica of the prototype - working crossing gates and all! A lot has changed in 15 years, and this page describes the methodology behind the design and construction.